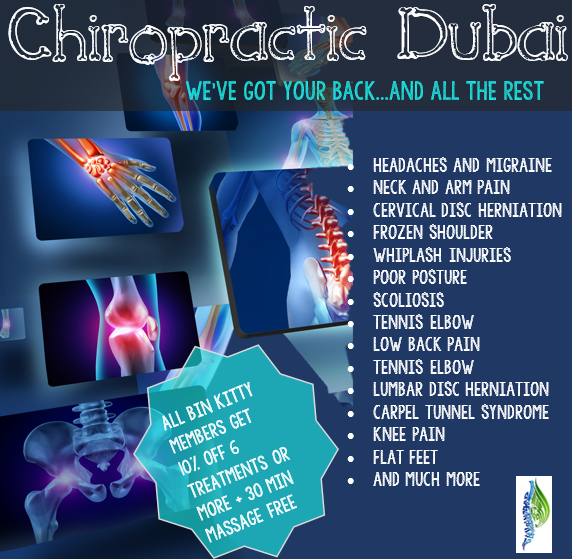 What could Chiropractic Dubai do for you? We have a holistic approach in taking care of our patients, we dig deep to find the cause of the problem. Our aim is long-term, optimum health for our patients. We believe the body is its best pharmacy and the nervous system holds all the tools to heal itself when operated by the right pair of hands. Now all Bin Kitty members can get a 10% discount if they take a course of 6 treatments or more, as well as a 30 minute massage for free.